In the article There is No “Due on Sale” Jail, it outlined a basic strategy for using a revocable land trust to quietly circumvent the “due-on-sale” clause. The following is a strategy that can be combined to make a bundle of money with owner-carry mortgages and land contracts. Let’s use an example. Seller has a home worth $100,000. He owes $97,500 on an 8.5% interest, 30 year loan. His payments are $925/month, P.I.T.I. (principal, interest, taxes and insurance). He just got divorced and he got stuck with the house. He wants out in a big way. The brokers in town are not thrilled with taking the listing because he doesn’t have enough equity for a 6% broker’s commission. He refuses to live there another day. With 50% of marriages ending in divorce these days, how many of these scenarios do you think you can find? 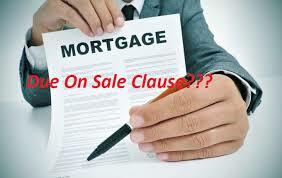 Buy the home by taking title in a land trust, subject to the existing loan.